Belting. Power. Control. What singer doesn’t want that? But how do you do it without destroying your vocal cords? It’s all in your technique. There are fundamental mechanical things that need to be established in order to belt without ruining your voice. 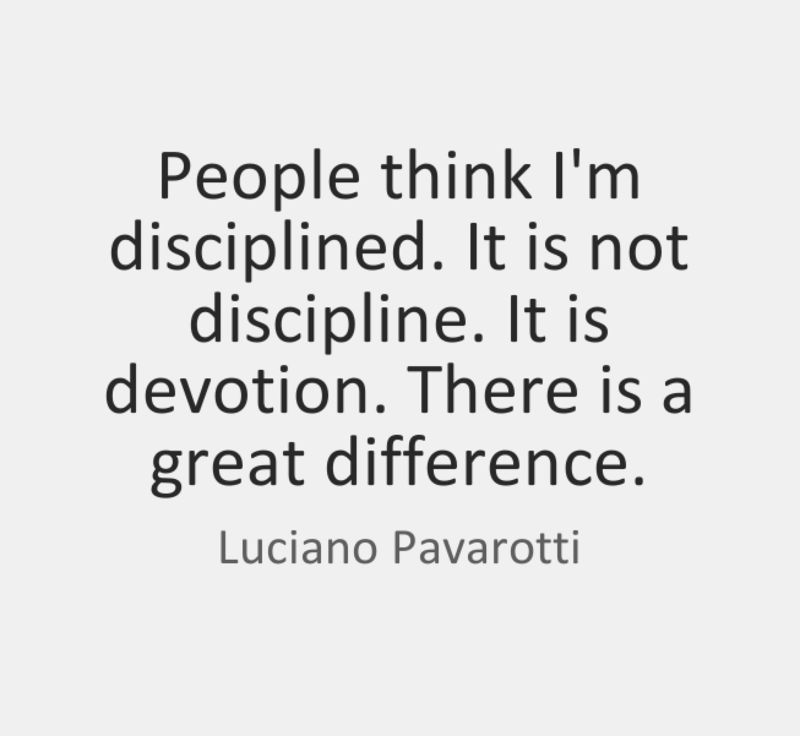 Naturally, this is best learned by studying with a pro vocal coach who knows how to teach belt (safely and health-fully) and can lead you through it. But this article is a good place to start practicing the movements and get yourself set up. Belting is something you can’t really learn on your own because of the complex nature of the mechanics and the customized direction needed for each voice. One of the biggest issues that even vocal coaches have, is identifying the individual mechanical issues presented with each voice. Let’s start with the physical voice which is made up of muscles and breathing and the correct coordination between the two. Add to that the “invisibility” of the instrument and you’ve got a mystery to solve. 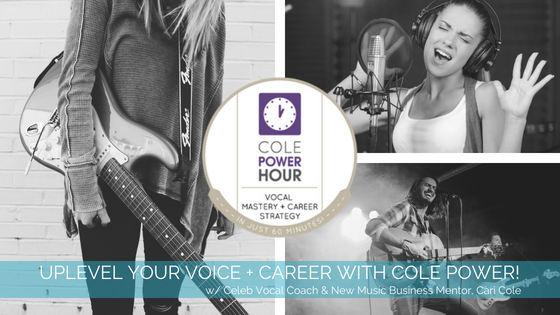 As a vocal coach, technique teacher and vocal therapist, it is my job to solve that mystery. The first place I look are the mechanics of the singer. What muscles are they using or overusing? And what tensions are causing constrictions, limiting power and control? Are they breathing correctly? Is their diaphragm locked inside their ribcage? Each singer overuses or under-uses certain muscles resulting in a muscular pattern that either helps or hurts their sound and function. Add to that muscular tensions deep within the muscles of the instrument: the tongue, jaw, laryngeal muscles, neck, diaphragm and abdomen — on top of postural issues with alignment further throwing another wrench in the works. The good news is that there is a path and solution for every issue. I’ve never met a singer yet that with the right technique couldn’t turn things around and claim their vocal freedom and power. Yes, there are bound to be roadblocks with every voice, but with training, a little discipline and dedication, you can arrive at your desired destination. You won’t belt properly or safely without some basic vocal strength. Basic vocal strength comes from singing and practicing vocal technique. Singing wrong whittles your voice away, destroying your voice. Practicing proper vocal and breathing techniques to ease strain and make you stronger is the first step. Period. I teach a vocal system that builds your vocal strength ~ safely and permanently. 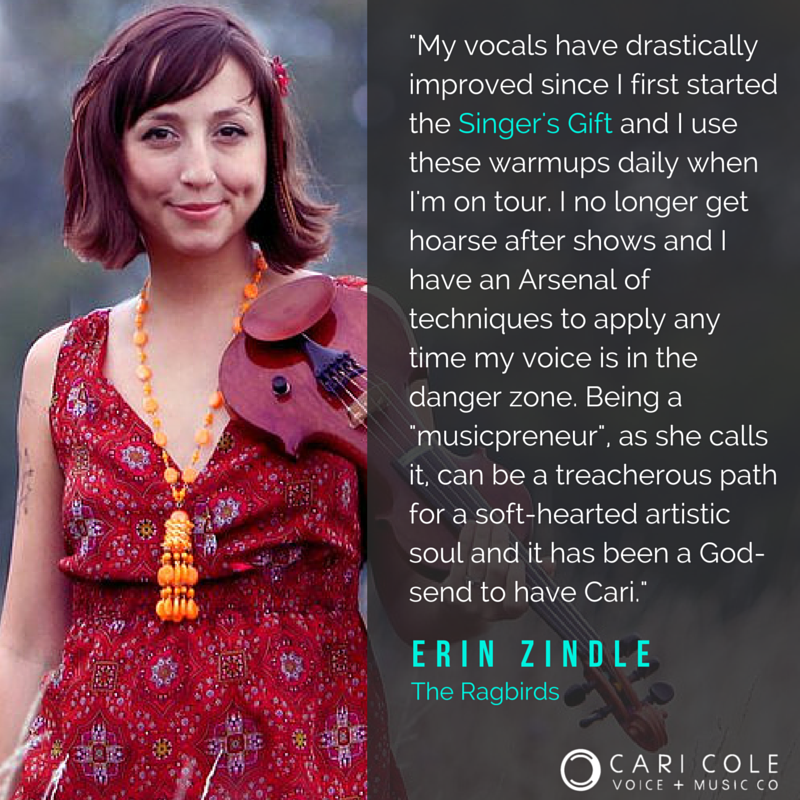 Start with my Singers Gift Vocal Warmups which are designed to open and free your voice. 2. Tongue Down, Soft Palate Up. When you watch a great singer belt a note, their whole throat opens up and you can see their tonsils. That’s because the back of their tongue is down — where it should be. When the tongue goes down (except on vowels that require a high tongue, mostly ee’s) it helps the singer have laryngeal compression providing control against an increase in air pressure. When the back of the tongue stays down, along with a lifted soft palate the voice is able to produce a more powerful belt. Getting the back of the tongue to stay down as you sing, is a technique you practice into your voice. It is not something you can do instantly and one should never force it. It’s through the process of practicing the right techniques that teaches the tongue how to move in this way without force overtime that the muscle behaves. Which then becomes muscle memory. It’s like learning to ride a bike. At first, you wobble and fall until you get the right balance which then becomes muscle memory. In a properly taught vocal technique a singer gets control of the tongue, without force. The tongue position helps to keep the larynx down which allows the voice to belt and handle the pressure of volume and power. My Singers Gift Vocal Warmups are the place to start this process. It comes with a larynx pull down and soft palate lift to start practicing these techniques safely and correctly. Daily practice makes it happen! 3. Power Up Your Alignment. Alignment has a lot to do with belting. Most people’s posture is slightly rounded, with shoulders that hang forward and chests that are slightly depressed. This is a problem for singing and belting. A lifted sternum with a head aligned over the body (not in front of) is imperative to experience belting without strain. Soften your knees so they don’t lock. Pull up tall out of the hips and waist. Lengthen the back of your neck up to the ceiling as if you were standing against a wall. Chin tucked slightly in and down. Keep an “apple” between your chin and throat. Use this alignment when practicing your vocal technique daily and it will become muscle memory. For more help, study Alexander Technique. One of the most important things about belting safely is using the correct support. You don’t want to belt from the throat as that will destroy your voice over time if not immediately. The best way to take the belt off the throat muscles is to use your body instead. In correct vocal technique, you practice feeling the “point of appoggio” at your sternum/chest area which takes the pressure/tension off of the throat, neck and jaw. We accomplish this with a technique called the “sternum press.” We apply pressure on the chest plate about 2” or so above the actual sternum. Press your fingers on the chest with the backs of your fingers together pointing in on the chest. Apply that pressure against a lifted chest (without arching the back) while maintaining relaxed shoulders that are dropped back and down and a soft relaxed neck/throat. In other words, the only tension you want to feel is the pressure at your chest while the head and neck remain free of tension. Practice this while conducting a simple breathing exercise of 10 slow inhales and exhales without dropping the chest. Let the pressure from your fingers do the work to keep your chest lifted. The harder they press the easier it will be for your chest to remain up. Maintain the high chest throughout inhalation and exhalation. This is a great start to programming the correct muscles memory for your singing voice. Remember to relax the back of the neck while you maintain pressure on the chest. Tip: Daily pushups will help strengthen your pectoral muscles that need to be strong for a good “belt” voice.